Monday, Wednesday, and Thursday: 10:15 a.m. to 7 p.m.
Friday: 10:15 a.m. to ~11p.m. 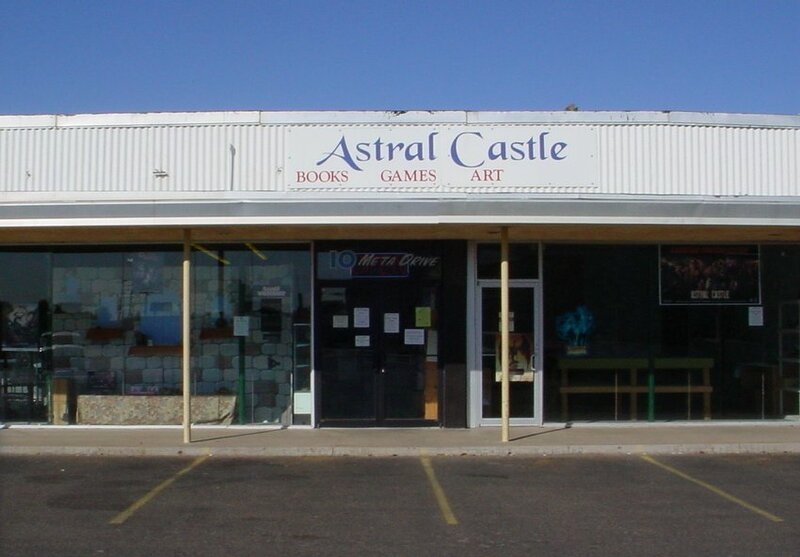 Saturday: 12:15 p.m. to 8 p.m.
Astral Castle is a family owned traditional game store that sells tabletop games, used science fiction and fantasy books, and other items of interest. If you were looking for Astral Castle's Pocket Dragon Gallery, Windstone Editions Encyclopedia, or other related pages, click here to go to the archive of our original website. Note, though, that these pages are retained solely for the information they contain. We no-longer have an on-line catalogue, so any references to pricing and availability are obsolete. Site Founded: August 30, 1996. Moved by CIHost to X7Hosting ("secure25"), June 30, 2009. Moved by us to WebNetHosting/EntirelyDigital ("host6") Nov 12, 2009. Migrated to "suitland" June 06, 2011. Migrated to "greywood" June 13, 2017).